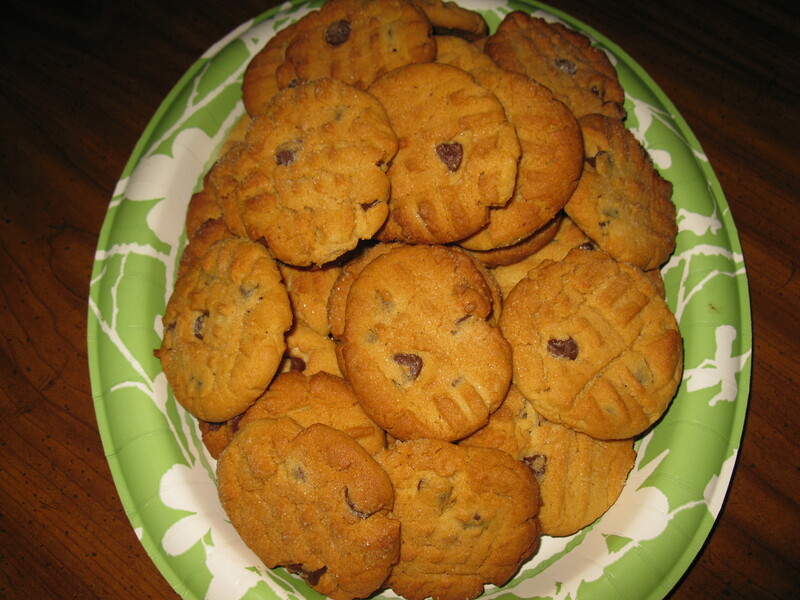 Peanut Butter Cookies with Chocolate Chips. The aroma through out the house is so comforting. The kids rush in just to grab the first ones out of the oven. I remember those days. Nothing better than mom in the kitchen baking.. I know we all can go back and remember lots of the days of mom and grandmas in the kitchen. I can’t remember when I ever saw my grandma without her apron. That was just a part of her getting dressed in the mornings, all ironed and crisp. She would get started for another yummy day in the kitchen, its funny that is what I always remember is what she di in the kitchen. That was her office, she plane her day right there. She would fire up that wood stove and begin making her famous biscuits, frying some homemade sausage, and gravy OMG I can just feel the love. I hope you to have some great memories of days gone by. They are precious memories. 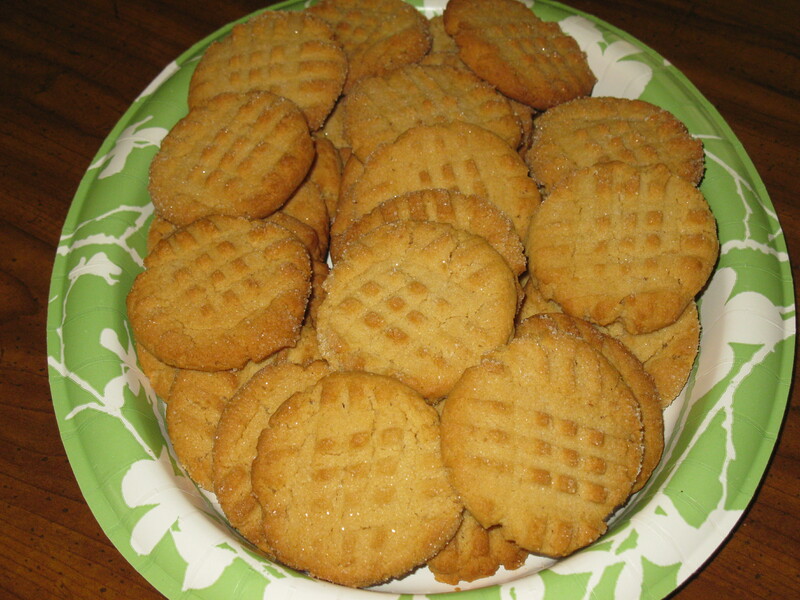 Cream together softened butter,sugars, eggs, vanilla, and peanut butter, blend well. roll in sugar, now place about 2 inches apart on cookie sheet, crisscross each cookie. Bake in preheated oven 375 for 10 to 12 minutes.